Asset tracking is critical when it comes to safety and ensuring the safety of packaged goods before, during and after processing and packaging. Zebra Technologies announced that it will be demonstrating its RFID-enabled packaging and IT printing solutions at this year’s PACK EXPO 2010. 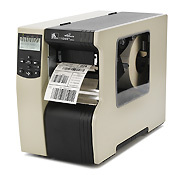 Zebra will showcase an array of IT printing solution including its RFID printer/encoder, the R110xi. The R110Xi4 aims to streamline supply chain applications including item-level tracking, asset tracking, inventory management and more across retail, manufacturing, health care and distribution channels. The company demonstrate how its technology can be used to improve efficiency across various lines of work in the packaging and processing industry such as health care, food manufacturing and consumer goods.